Here you can find the latest calls for participants, partners, and upcoming events. Recent events in our Euro-Mediterranean communities have led the Association of Human Rights Educators and Trajectorya MTÜ to analyse what role youth work could play to prevent violent extremism especially affecting young people. 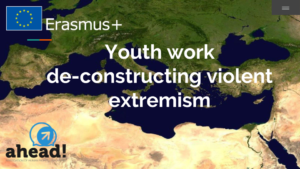 Despite the complexity of dealing with violent extremism, the project wants to contribute to address some root causes from the perspective of youth work instead of focusing on securitarian and counter-radicalisation policies. Through examples and practical tools 25 educators, youth workers and youth leaders from the Euro-Mediterranean area will develop youth work competences to identify violent extremism root causes and address them through youth work techniques. Euro-Mediterranean Living Libraries will bring together a group of 20 youth workers and educators from communities around the Euro-Mediterranean area for a six days interactive training course to develop youth work competences for preparing, implementing and evaluation Living Library actions in the public sphere. This is a direct follow-up of the Expressions in Dialogue project that wants to mainstream intercultural dialogue and de-construct prejudices through the implementation of Living Library actions in order to encourage interaction and conversation bringing communities together. This follow up project is organised by our partners, the Association of Human Rights Educators – AHEAD in Barcelona. The main purpose of the initiative Expressions in Dialogue, is bridging diverse communities to invest in the public sphere and to generate spaces where people can encounter diversity and de-construct fears and prejudices specially referring to migrants, refugees, and diverse minorities (cultural, ethnic, linguistic, religious,…). Dates of the Project 10 – 16 of May 2017. This is a Capacity Building activity is taking place from the 19th to the 26th February 2017 in Tallinn and it is supported by the Anna Lindh Foundation in the frames of the midterm project Expressions in Dialogue. 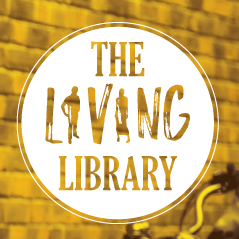 It aims to mainstream intercultural dialogue and de-construct prejudices through the implementation of Living Library actions in the Euro-Mediterranean area. To achieve its aim, the project will bring together a group of “seeds” from communities around the Euro-Mediterranean area for an interactive training course to analyse the challenges of a meaningful intercultural dialogue and develop Living Library competences based on the principles of Intercultural Citizenship Education. Expressions in Dialogue will train youth leaders, educators and activists in implementing these Living Libraries in their community context as a tool for promoting intercultural dialogue in EuroMed today. The International Meeting is designed for practitioners, youth workers and educators to exchange of best practice aimed at mainstreaming gender in youth work through Human Rights Education and Non-Formal Education methodologies. The meeting is part of the Erasmus+ Key Action 2 mid-term project “Boys don’t Cry…? Mainstreaming Gender in Youth Work” and it is promoted by a consortium of organizations in Lithuania, Catalonia/Spain, Turkey, Italy, Romania, Czech Republic and coordinated by the training organisation Trajectorya from Estonia. Living Libraries for Dialogue will bring together a group of 25 youth workers and educators from communities around the Euro- Mediterranean area (Practitioners from Estonia, Jordan, Lebanon, Lithuania, Catalonia, Tunisia, Turkey and Italy) for a six days interactive training course that will explore the challenges of a meaningful intercultural dialogue and will develop youth work competences on preparing, implementing and evaluation Living Library actions in the public sphere thus promoting intercultural citizenship education. For further information about previous activities, click here.